This is easily the fastest typing speed I've ever gotten, yay! Compare that to an average of 80 WPM on QWERTY with a peak at 90. I now average 95-100 I'd say. A month ago I got my first ever 100. I can still type 80 WPM on QWERTY as well, having tested it. If you're worried that typing on Colemak will irreversibly expunge all knowledge of how to type on QWERTY forever you should read my post The Ultimate 'Will Colemak Destroy My QWERTY Skills?' Thread which explains that for most people this really won't happen. If you're worried that using Colemak will turn you into a total keyboard obsessive, you should read my post Colemak: No big deal. In a nutshell, it's a post about how Colemak is for normal people who just want to make typing better. It's a post about not being mislead that Colemak is only for internet nerds. It's not a post written for the people who post on this forum either, but rather for lurkers who are interested in giving it a shot. Just a Pok3r RGB ISO with Cherry MX Blues, with DSA keys from pimpmykeyboard.com. It's got the custom T and N homing keys and everything. Literally its only shortcoming is that I have two 'SUPER' keys instead of an FN key and a SUPER, because I forgot to order the FN. It's stupidly nice to type on!!! Grats a lot! She's a beauty, she is. Too bad you don't grok the Angle mod. Would be nice. I actually had to choose between having the backlight on this keyboard and having Blues, or having no backlight and having Browns. There is a Brown version with backlight that wasn't in stock at the time. I think I might have appreciated the extra quietness, as then I feel like I could really really use this keyboard anywhere. These new keycaps have made it more quiet however. Just start with something. The thing is that if somebody getting into mechanical keyboards, that is rarely ends up with just one keyboard :) There is such idea as “endgame” keyboard in this hobby, and some people never reach it. 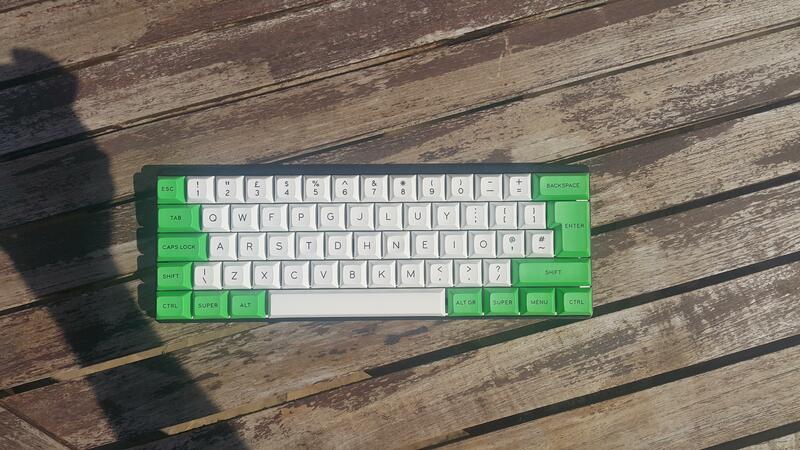 So would you say go with a cheap mech keyboard at first, or go right to a pricier one like a pok3r? I'm just not completely sure, as I've never had a mech, I'm using scissors at work, and I'm quite content with them, but I've shortly tried a cheap mech, and they already feel pretty nice. Whatever you feel right for you. Cheap mechs usually have crappy switches, but you may not know yet what switches are right for you. Pricier keyboards are keeping their value pretty well, I never had a problem to resell them (at r/mechmarket) and return my investment. Yeah, I wouldn't expect cherry switches for a cheap price, are the crappy switches a lot worse to write on, or is it more about the longevity and failure ratio, as long as they are something that feels right I'd be okay with spending a bit of money in just making sure that it is something that I want before investing in something expensive at once. It is unlikely that you will find your ideal keyboard from the first try, only if you are not picky. The best course of action is to visit your local mechanical keyboard enthusiasts meetup, then you'll be able to try many different options and decide which you like. It is not likely that you will be able to find such variety in any store, this market is so narrow and specific that stores do not keep any worthwhile keyboards in stock. Nearly nine months into Colemak! I've been told on and off in the past that my forum posts have helped people get into Colemak here and there, so that's why I'll throw up another update. 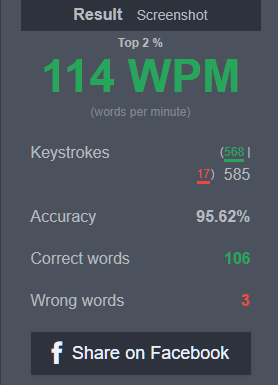 My QWERTY speed used to be 80 WPM, now it's more like 75 WPM. 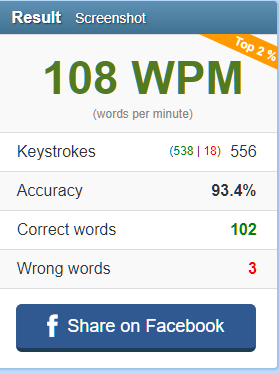 My Colemak speed has gone from 0 to I'd say 90-100 WPM average in nine months. I can still type on both layouts very fluently, but Colemak is clearly much nicer to type on any day (just did a bunch of typeracing to back that feeling up). It's definitely possible to learn Colemak and still be 'backwards compatible' and I'll have no problem on QWERTY keyboards any time soon. Very soon the amount I actually have to type is going to skyrocket soon, and since that'll all be on my own laptop it'll be a blast. I'll gladly say (again) that Colemak is a long-term investment that will improve how you use computers, and now that I'm going to start using typing skills a whole lot more, the investment will have paid off. If you're looking for something to do, definitely try Colemak and you might get to look back and say that you were glad you did like I can. 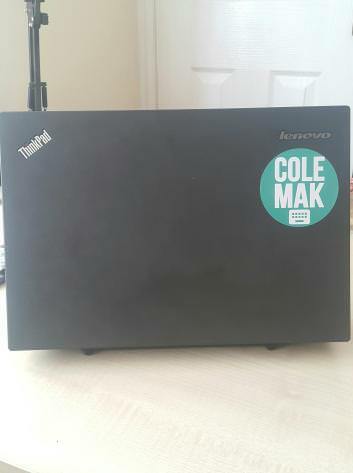 Been about a year of using Colemak now, celebrated my Colemakversary apparently 5 days ago. Same advice as always: stick with it! I'm at the point where I've basically forgotten I ever had to learn an 'alternate keyboard layout' and it's like I have just used it all along. I can still type QWERTY at 80 WPM. If you're lurking, take the leap! Indeed, I somewhat regret not taking the leap earlier. Thinking back to all the years that I put up with awkward and uncomfortable typing. It seems crazy now.